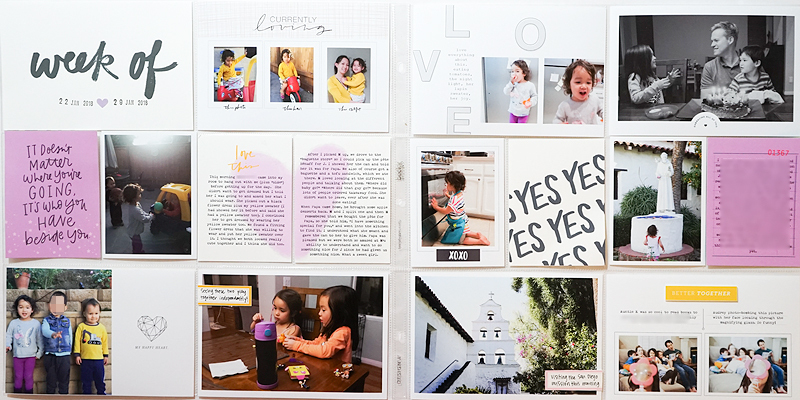 Paislee Press just released a new digital kit called Messy Beautiful and I am slightly obsessed with the pretty color palette. 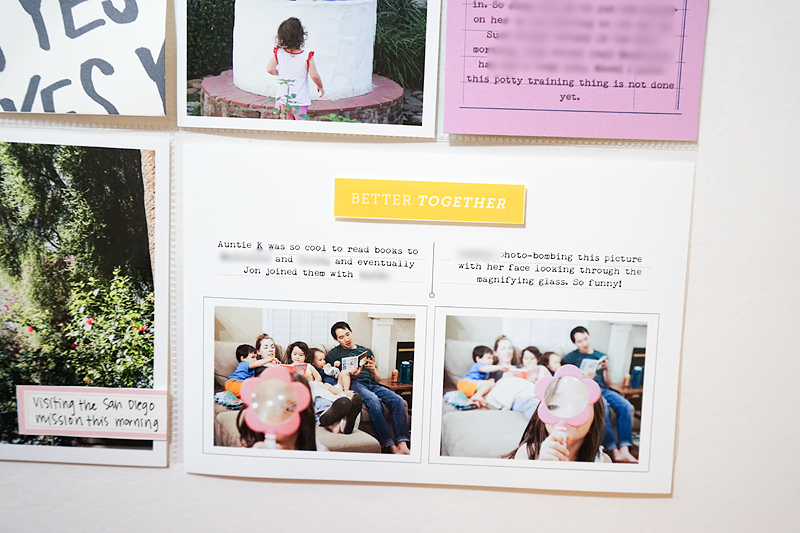 There were also photo templates in this release which made it super fast to put together the spread for this week. Here's how the entire spread turned out. There is a lot of white space but I think it compliments the softer colors. As usual I started with the photos from the week. I tag these in Lightroom, then bring them into Photoshop where I open the photo templates and drag them in. 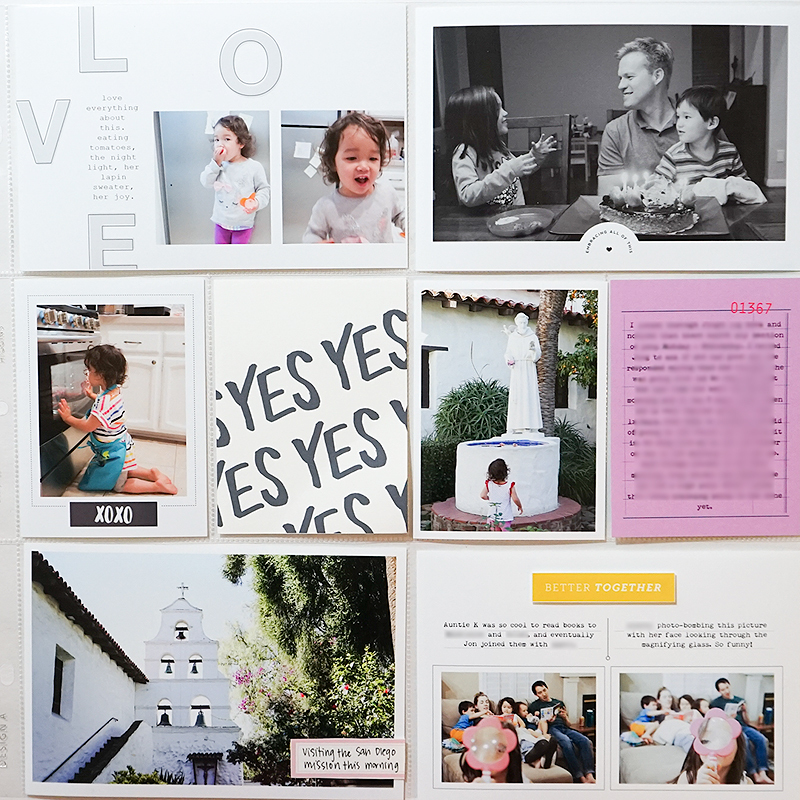 I had a few sets of photos where I wanted to use more than one to tell the story and fortunately some of the photo templates contain multiple photo layouts so that worked out well. 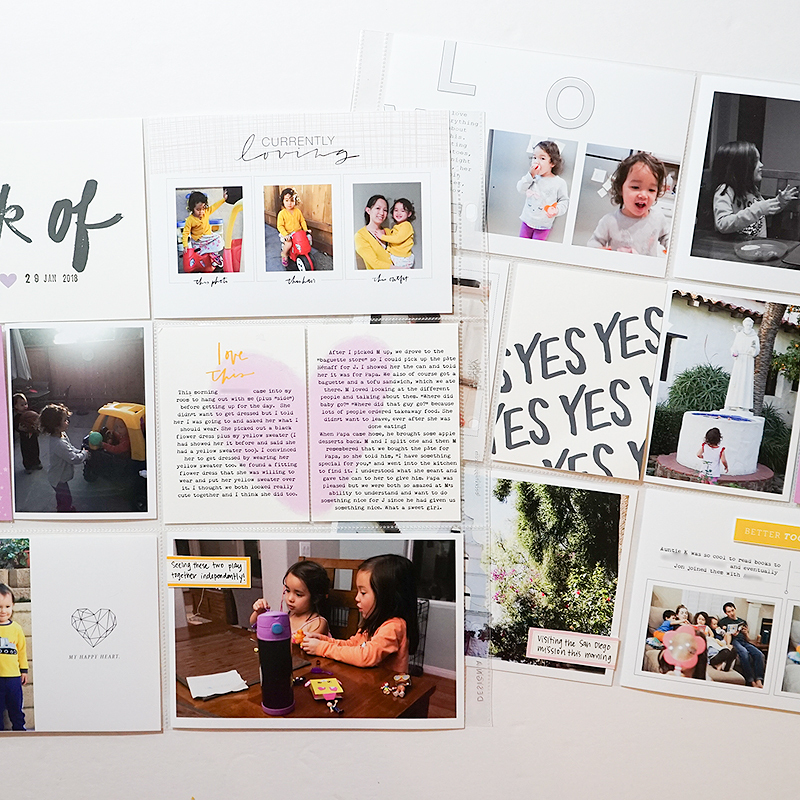 I had a longer story I wanted to tell but realized I didn't have any 4x6" pockets left after I printed the photos and I didn't want to cut the words down. 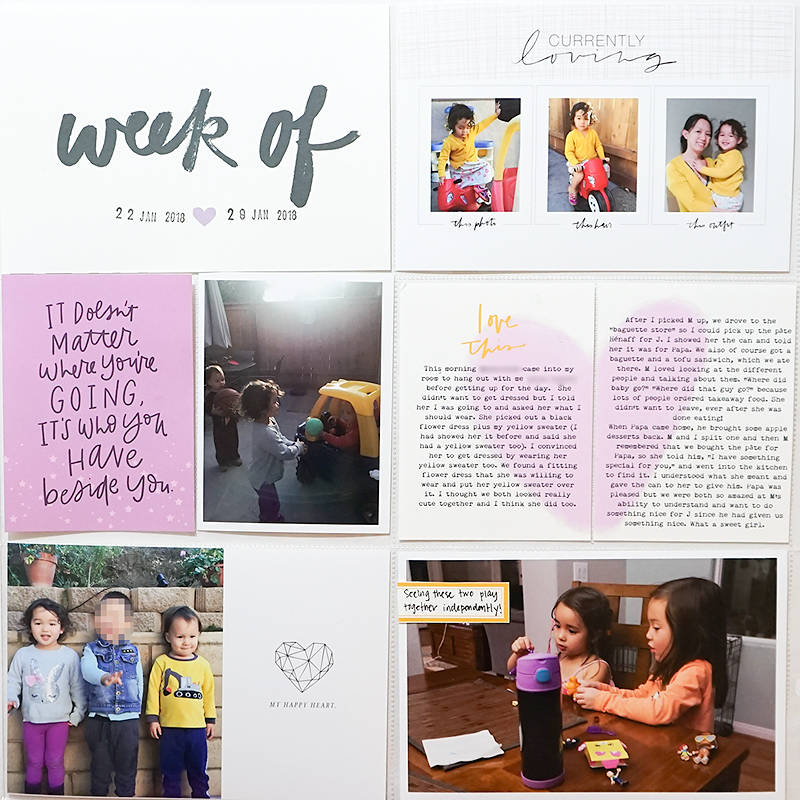 So I instead put the text on a 4x6" canvas in Photoshop, added the painted heart from the Messy Beautiful kit (so it would look like one 4x6" card), and cut the card through the middle to fit into 2 3x4" pockets. I love how this easy solution turned out. For the filler cards, I simply put the digital word stamps onto the 3x4" canvases and printed them out directly onto cards. This spread was done in roughly 2 hours (that's fast for me!) which is a big reason I love using digital products!